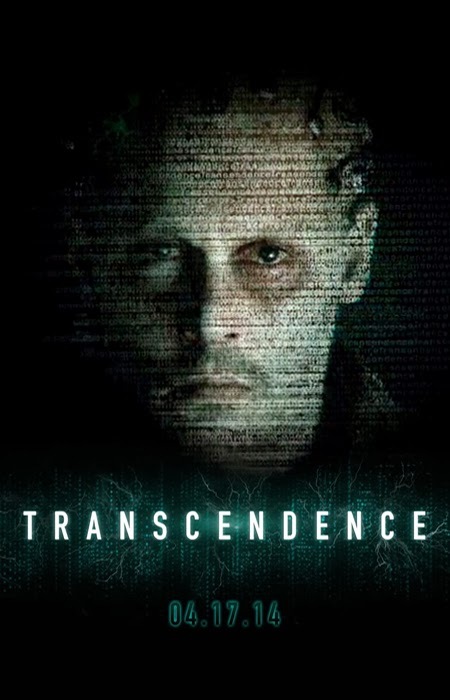 “Transcendence” and Good Friday seemed to go together in this biblical version of the birth, death and resurrection of artificial intelligence (AI).Even though I love science fiction, this may be one you want to pass over. Dr. Will Caster (Johnny Depp from “The Lone Ranger“) has studied AI for decades, because he thinks it’s interesting. His wife, Evelyn (Rebecca Hall from “Everything Must Go“), works in the same field, and she dreams that AI will save the world. There is a resistance to this kind of thinking, and the resistance is led by Bree (Kate Mara from “Deadfall“) and her humanity-hugging friends. Her group sees the danger in letting machines take over so they bomb the research facility and shoot Will with a plutonium-laced bullet. Evelyn does not want to lose him, so she and Max Waters (Paul Bettany from “Legion”) sneak off to an abandoned building and upload his brain to a computer. This is the only way they can “free Will.” Yeah, there was that kind of symbolism, along with helping the blind see and the lame walk. Just before Bree’s people can pull the plug, they upload Will to the Internet so he can live forever, just like that video of the kid coming home from the dentist. The premise of the movie is great, though not very original. It’s a shame the rest of the plot points they had were not enough to hold our interest for two hours. Will could save the world, but not this movie. Halfway through, I wanted to surf away from Will and find some kitten videos or see how much cotton candy cost in China. Depp was even more laid back than usual. Even when he was not in the computer he seemed to be in sleep mode. Of course, he grows stronger and smarter and so creepy that Evelyn becomes afraid of him, but it’s hard to break up with a dead husband who inhabits the Internet and watches you every waking moment. Trust me, I have been there. They do try to make a love story between these two, and a parable about mankind, but it all comes out so slow it’s like we are on a dial-up modem. There is joke here about dating a computer, but I am too bored to make it. The movie tries to win you over with special effects and the wonders of future technology, but all that felt more artificial than intelligent. For that I can only give this movie 2 ½ stars out of 5. You will be more entertained if you just watch a “Star Trek” episode and imagine Shatner is Johnny Depp.